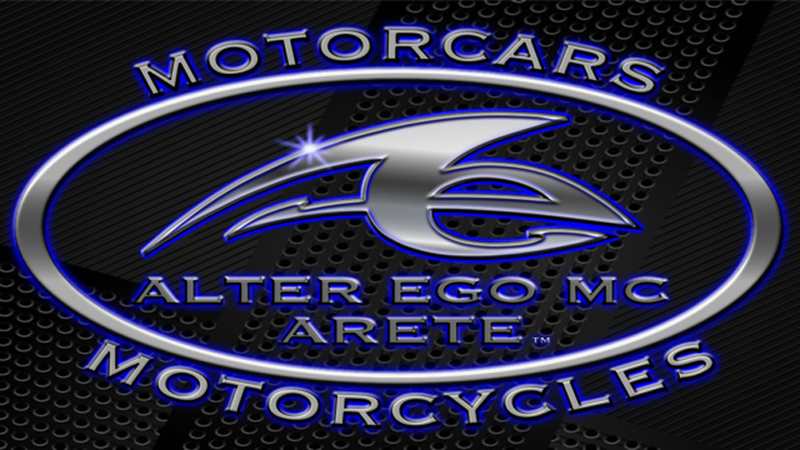 Master Craftsmen at Alter Ego Motorcycles design and build sophisticated Handcrafted Motorcycles for those with elegant taste and unlimited imagination. For information call 520-205-1097. We also Restore - or Build - Vintage Luxury Salon Automobiles. High End Collectors of Salon Vintage Automobiles are impassioned to discover the eclectic expertise Alter Ego brings to the restoration of automobiles. This kind of highly sought after expertise results in, not simply resurrecting important pieces of Americana, but, rather - virtuoso-like performances - building beauty with eloquence one valuable Vintage Luxury Car at a time. Every Alter Ego Project Automobile begins a brand new chapter its story when it leaves our Alter Ego Shop as a piece of Fine Art. You may be wondering why we say we "restore or build" Vintage Luxury Automobiles. Building an automobile is a highly advanced form of restoration with the Master Builder's ability to manufacture obsolete parts exactly duplicating the manufacturers specifications in precise detail. The climax of Building an Automobile like this results in a vehicle exceeding the manufacturer's quality when it was brand new, while still meeting requirements that every single thing in the automobile is according to original design. As an example, Alter Ego Master Craftsmen hold to the standard of excellence to such an extreme, that not one nut or bolt will ever have a scratch or mar on it. The Master Craftsmen at Alter Ego also restore or build Muscle Cars and Classics, and, build Street Street Rods and Restomods. We also manufacture restoration parts for motorcycles as well as vintage luxury automobiles; and custom design and paint for Harley-Davidson Motorcycles, and American V-Twin Motorcycles. Our Contemporary Signature Line of parts, including the popular Alter Ego Brake and Line Clamps, and, Alter Ego Motorcycle Kickstands are held in high regard by our clients. Only Alter Ego makes these available for purchase. They are designed by the Owner of Alter Ego and manufactured right here in our Shop. The Master Craftsmen at Alter Ego strive for absolute perfection in restorations, and, the awards and accolades achieved, always line up with those weighty standards. These exacting self-prescribed standards are imposed on every single project or part with the Alter Ego name behind it. Alter Ego is located in the USA and we use American made materials. Our Custom Designed Handcrafted Motorcycles are a dream and ride like one. They are designed individually, for each individual, and, the Alter Ego Master Craftsmen will never make another one like it, after they have built yours. It's custom. It's one-of-a-kind. It will reflect your alter ego. We truly appreciate your interest in Alter Ego Motorcycles, Vintage Automobile Restorations, and Signature Parts & Products. If it's time to finally follow your dream, our Master Craftsmen can put you on the road on one or in one. If we have a vote, we believe you have earned the joy that will come in owning your dream machine. Our photographs and website information are copyrighted and the property of Alter Ego MC and may not be copied, reproduced, or, used without our written consent. For written consent forms please email linda@alteregomc.com. We reserve the right to refuse service to anyone or any business or entity. Thanks for your interest. We appreciate it.